The issue of stability in economy is essential, both in theoretical as well as in practical discussion. It is especially important in an environment of economic transformation. 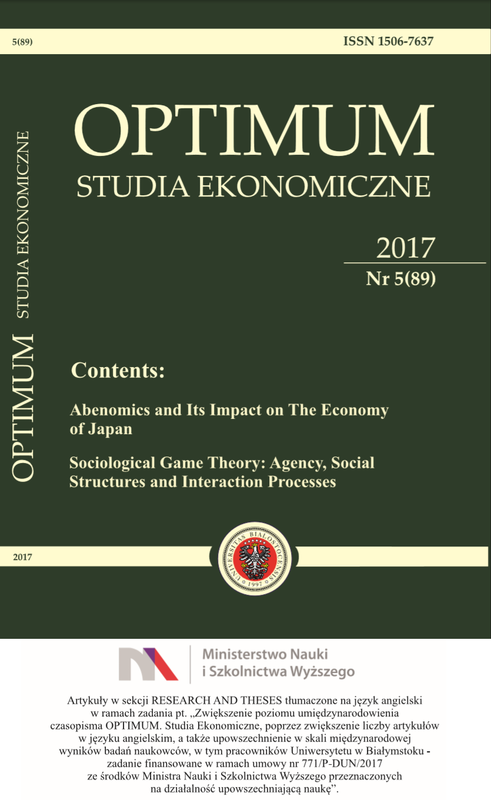 The aim of the article is to assess the economic stability during the transformation of the south-east region of Europe over a period of 19 years (1995-2014), and the mutual relation between the economic stability and the transformation process, including the transformation of banking sectors. The countries selected to the research were Albania, Bosnia and Hercegovina, Bulgaria, Croatia, Romania and Serbia. The study shows the strong correlation between transformation process of economy and banking sectors and not more than moderate relationship between transformation and stability, in some of the studied countries. The methods used include a literature review of the theory on the transformation process with special focus on the Balkan region, as well as a comparative analysis of data, which addresses the progress of the economic and banking sector’s transformation and measures the macroeconomic stability in this region and Pearson correlation for assessing mutual impacts of the variables.